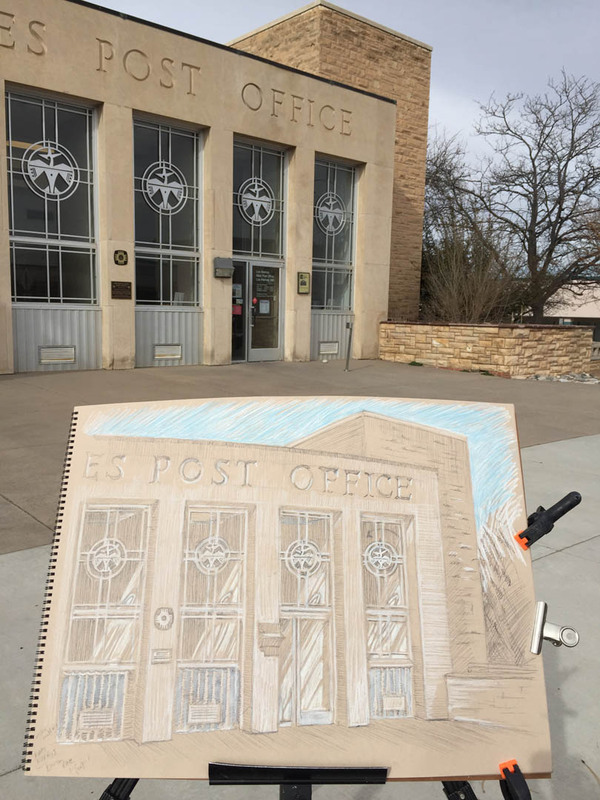 On March 27, 2019, I sketched the historic Post office in downtown Los Alamos, New Mexico, built in 1948 on the site of the old Ranch School Trading Post. I set up my easel at the front of the building, and over the space of a few hours did two drawings as the afternoon sun cast long shadows on the interior of this fabled structure with it’s stunning circular thunderbird motifs, set in metal inlay over the windows. 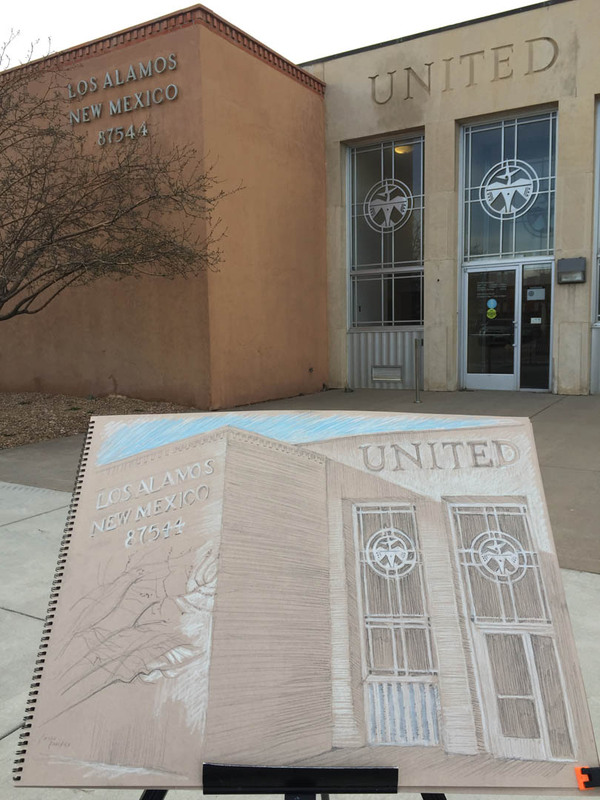 One of the photographers for the Los Alamos Daily Post, John McHale, came by while I was working on the sketch. I did two drawings on site and had engaging conversations with folks, including friends from as early as 1st grade.